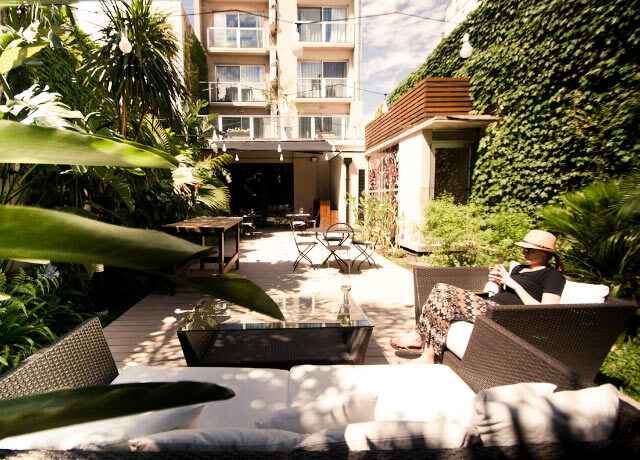 This contemporary boutique hotel offers a garden oasis in the heart of Buenos Aires' lively Palermo district and is just steps from some of the city's most desirable restaurants, bars, cafes and shops. 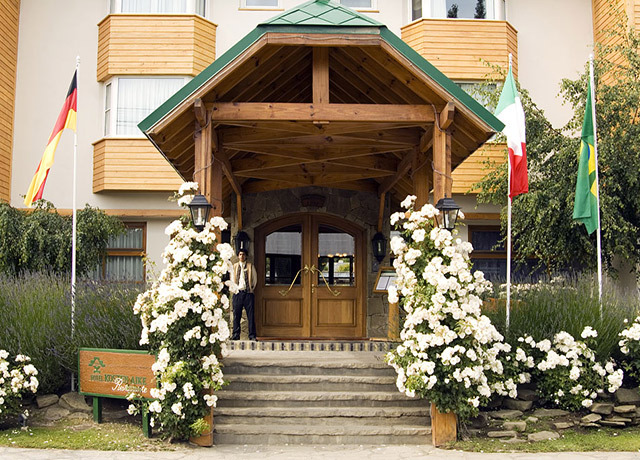 Just outside the busy town center of El Calafate with views of Lago Argentino across the road, this hotel's classic Patagonia design incorporates stone, heavy timbers, and rich carpets and textiles. Located in the center of charming El Calafate, this hotel reflects the cultural heritage of the region with works by Argentine artists incorporating indigenous Tehuelche designs into every detail. This warmly appointed hotel incorporates dramatic natural materials—local wood and stone—to create an atmosphere of rustic elegance, a perfect complement to the mountain grandeur it surveys. 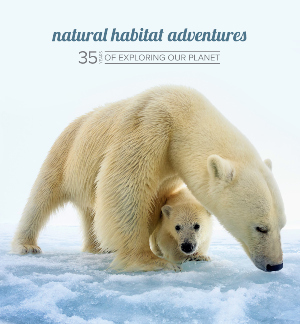 Revel in stupendous views surrounded by wild nature at one of the world's most renowned ecolodges, with accommodations in individual domed suites featuring indigenous design influences. 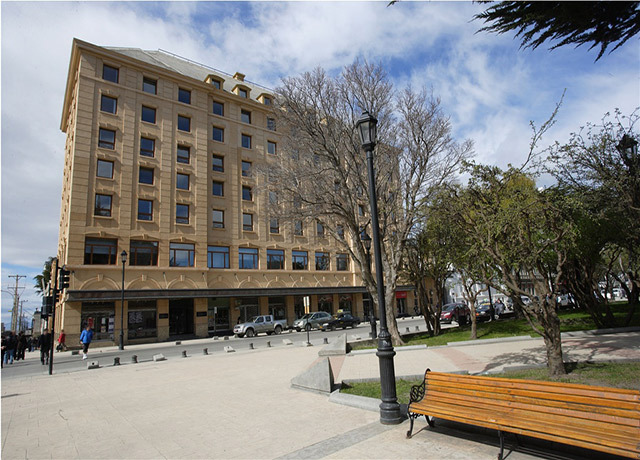 Centrally located on the main plaza, this premier property offers 4-star comfort in the heart of Punta Arenas, with guest room vistas of the city and Strait of Magellan. This 8-room hotel incorporates the pioneer heritage of its founders, with the transformation of a 1929 house into a sophisticated inn that pays homage to the multicultural traditions of Chile's colonial period. 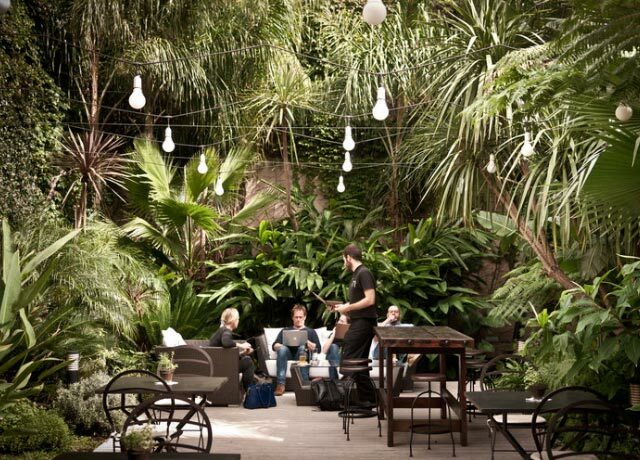 Fierro is one of Buenos Aires' most stylish and sophisticated boutique hotels, noted for its superlative guest service. 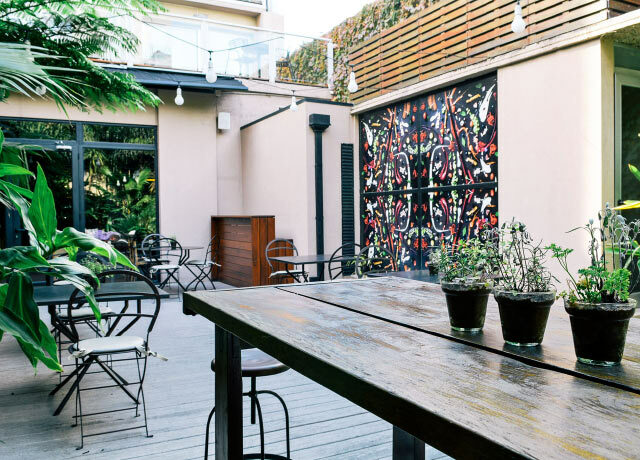 Located in the heart of the Palermo Hollywood district, hub of the city’s dynamic food scene, Fierro shares the neighborhood with some of Buenos Aires’ top restaurants, bars and cafes. 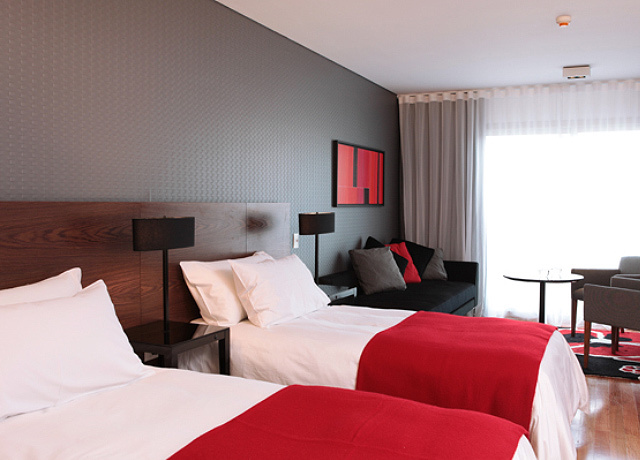 Exceptionally spacious rooms have a modernist vibe, furnished in black and gray with bold red accents. 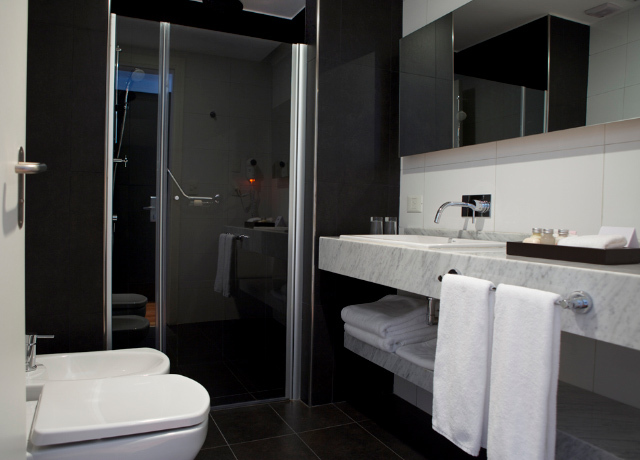 Amenities include an indulgent rain shower, free Wi-Fi, flat screen cable TV, iPod docking station and coffee maker. Relax after your travels in the hotel spa featuring a sauna, soaking pool and rooftop chaises. On the ground level, a secluded garden surrounds an expansive courtyard that offers an oasis from the lively city pace just beyond, with comfortable outdoor lounge seating and tables for al fresco dining. Fierro is home to acclaimed UCO, a favorite restaurant among local Porteños (residents of Buenos Aires). Everything is prepared in-house daily, including Patagonian trout smoked on the premises, cured bacon, homemade ice creams and fresh-baked bread. The hotel is just a 5-minute walk from the Ministro Carranza subway station, offering access to all the highlights of Argentina's capital. 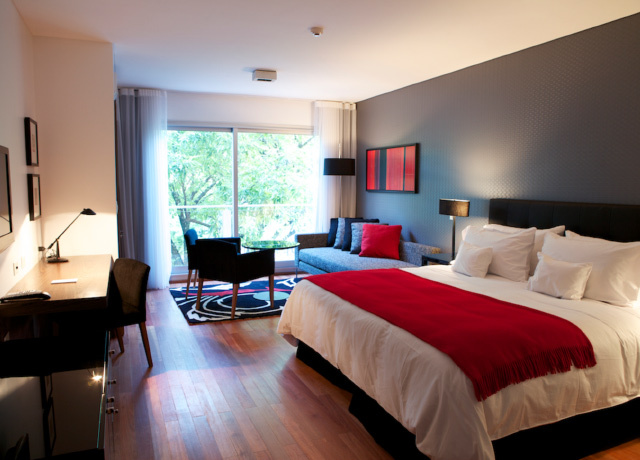 Fierro is a multi-year award-winner on Trip Advisor, often holding the #1 spot on the website’s list of Buenos Aires hotels. Optimally located in El Calafate, just outside the busy city center and across the road from sparkling blue Lago Argentino, Mirador del Lago exudes warmth, color and local character. 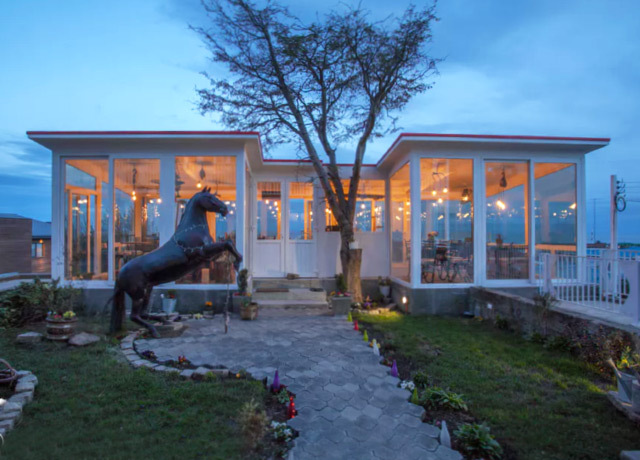 Its interiors feature classic Patagonia design and decor, incorporating stone, heavy timbers, rich carpets and textiles, and large windows to showcase the view of the lake. Room amenities include elegantly crafted furniture made of local wood, choice of pillow, free Wi-Fi, cable TV, electronic safe, fridge and individually controlled heating. La Bahia restaurant serves gourmet regional cuisine with an artful flair, plus an outstanding breakfast buffet. A coffee shop and bar are also on site. 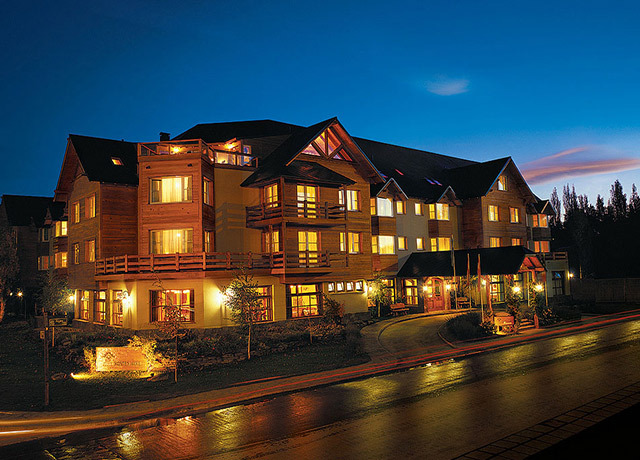 Located in the center of charming El Calafate, Hotel Kosten Aike takes its name from the words kosten (wind) and aike (place), a nod to the frequent fresh winds of Patagonia. But its name is not the hotel's only tribute to indigenous Tehuelche culture: it is filled with the work of Argentine artists who have incorporated ancestral Tehuelche designs into every element of the property, including bedspreads, curtains, covers, ironwork and paintings, all of which exhibit the Tehuelches' exacting geometry and visual symbology. Rooms have extra-long beds, a small table and chairs, work desk, cable TV, mini bar, safe deposit box and Wi-Fi. An upper-level gym and spa under the eaves offers views of Lago Argentino as you walk on the treadmill or soak in the Jacuzzi. A sauna and massage services are also available. A buffet breakfast is served in the Ariskaiken restaurant, while the cozy Aura bar offers coffee and cocktails. The lobby lounge, warmed with heavy timbers, hardwood floors and a stone fireplace, offers comfortable seating plus tables and chairs for socializing. Befitting its mountain surroundings, Destino Sur offers an atmosphere of rustic elegance. Natural stone, cypress and beech wood are incorporated extensively into its construction, with a dramatic stone-walled staircase opening onto the lobby. Thirty-six guest rooms are furnished in warm, bright colors with contemporary wood finishes and furniture. One king or two twin beds have crisp white cotton sheets, warm duvets and handmade duvet covers, individual heat control, 32" LCD satellite TV, telephone, mini bar, safe and Wi-Fi. A casual fireside coffee shop and bar are the setting for drinks and a breakfast buffet featuring a wide selection of home-baked breads, homemade jams, fruits and more. A spa with Jacuzzi, sauna, massage services and a small gym round out the amenities offered at this property that is a TripAdvisor Certificate of Excellence award winner. 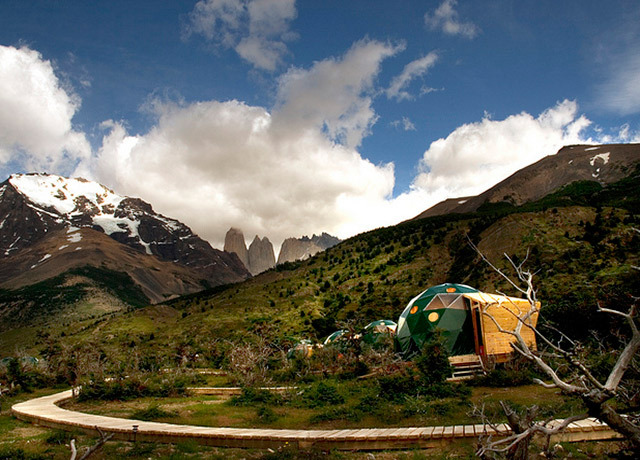 Named by Time magazine as one of 100 of the World's Greatest Places and lauded by Travel + Leisure as one of the Best Hotels in the World, EcoCamp Patagonia enjoys global renown. The lodge opened in 2001, and from the outset, it has been a model for "green" lodging, providing industry leadership and innovation in sustainable practices and inspiring the opening of numerous similar properties worldwide. 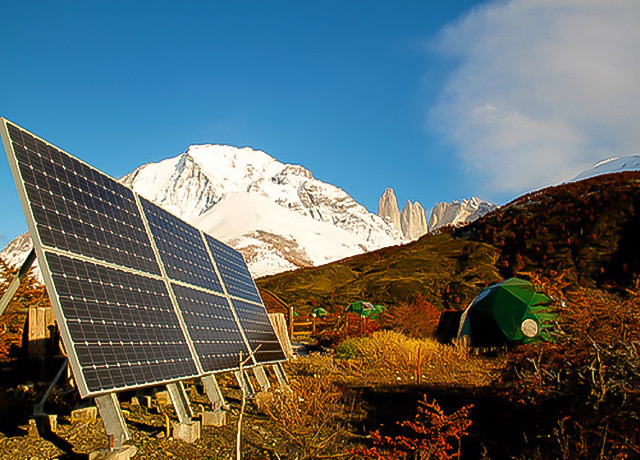 With energy powered by solar and hydro sources and composed of eco-friendly building materials, the camp's distinctive geodesic domes offer travelers warm, spacious accommodations in the heart of Chile's Torres del Paine National Park. 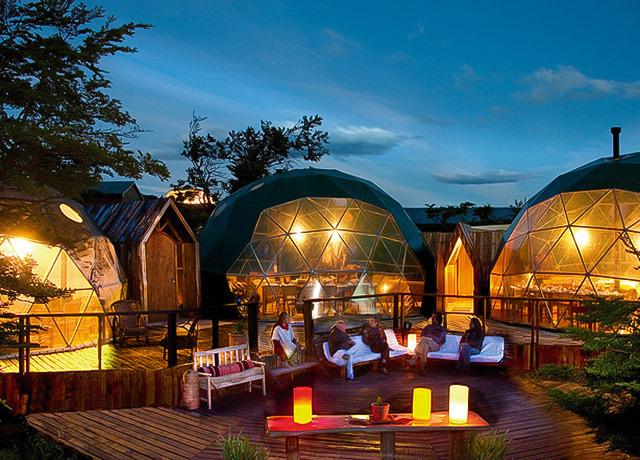 The individual domed suites are inspired by the "leave no trace" huts of Chilean Patagonia's nomadic Kawesqar indigenous people. Tightly insulated for warmth and wind-resistance with skylight panels to add light, they offer broad territorial views of the surrounding peaks and an unparalleled immersion in nature. Interiors provide a cozy respite from the elements, with a low-emission wood stove to take the chill off. One double or two twin beds have polar fleece sheets and feather duvets to keep guests warm at night. An en suite bathroom has a basin, hot shower and state-of-the-art composting toilet. This unique accommodation is frequently cited by our travelers as one of the highlights of their Patagonian adventure. A landmark property located in the heart of the Punta Arenas, Hotel Cabo de Hornos fronts the Plaza Central with views of the cityscape and Strait of Magellan from its higher floors. Recently renovated, the hotel exudes a warm, artful atmosphere with understated elegance. Guest rooms feature simple modern decor incorporating local woods and a neutral palette. Queen-size pillowtop beds with premium bedding offer a comfortable night's sleep. Amenities include deep soaking tubs, flat screen TV, free Wi-Fi and an in-room safe. The restaurant serves gourmet international cuisine and a deluxe buffet breakfast while the dark, cozy bar invites guests to relax with a warming drink—or sip by the fire on the cushioned sofas in the intimate lobby lounge. A fitness center is also on site. Arguably Punta Arenas' most distinctive lodging, this boutique hotel is the realization of the creative vision of its founders, Paola Milosevic and Sergio Solar, whose grandparents were Croatian pioneers in Chilean Patagonia. Rehabilitating an old house built for the English court in 1929, they have created a sophisticated boutique hotel that pays homage to the multicultural traditions shaping the southern tip of Chile since the mid-1800s, when immigrants from Croatia, Russia, Ireland, Britain, Spain and elsewhere arrived to meld their cultures with the indigenous people living in the region. Each of the inn's eight rooms is named and themed around a different trade that was important in Chilean Patagonia's early history: The Coachman, The Stable, The Leather Braider, The Orchard, The Milkman, The Blacksmith, The Carpenter and The Shearing Shed. Rooms are furnished with period antiques relevant to those pursuits, offering guests a taste of history along with a supremely comfortable stay. Located on the second and third floors of the house, rooms have panoramic views over the Strait of Magellan and colorful rooftops of Punta Arenas. Each is harmoniously decorated in a neutral palette of white and browns and has central heating, en suite bathroom with hair dryer and custom toiletries, super king-size or two double superior beds, Wi-Fi, telephone, desk, luggage storage and safe. The restaurant on site, La Cocina de la Nonna, features Patagonian specialties with a Croatian flair, including roast lamb, gnocchi and grilled octopus. The Bar is a faithful reflection of traditional Patagonian pulperias: these were old warehouses used during the early colonial days as drinking establishments and purveyors of groceries and other products. That heritage is replicated at La Yegua Loca with local specialty cocktails such as the Pisco Sour and Ruibarbito, and artisan handicrafts, books and regional gourmet items for sale in the small shop on site. Or relax in the glass-enclosed Terraza, which offers inviting lounge space with territorial views in all directions.